Why Is Pinot’s Palette One of the Best Franchises for Women? Pinot’s Palette is in the Top 50 Franchises for Women, as ranked by Franchise Business Review. The list is based on ratings and feedback provided by female franchisees. Female owners make up over 60 percent of the Pinot’s Palette system. We’re thrilled to be ranked so highly by our own franchisees, and to add the rating to our list of awards. 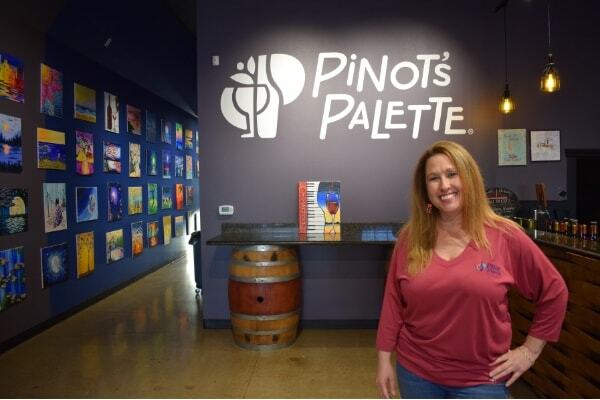 Here are a few of the reasons Pinot’s Palette has become one of the top franchise opportunities for women. Staying engaged in the local community and networking with other organizations is important for franchise owners. These traits are particularly important when it comes to achieving success with Pinot’s Palette’s business model for a couple of reasons. 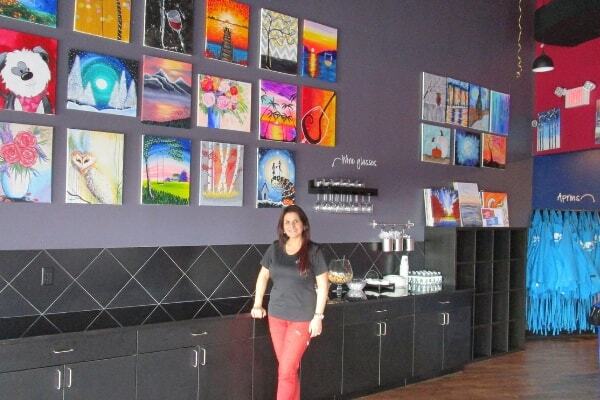 Like a local coffee shop or wine bar, Pinot’s Palette is a social hot spot where area residents can convene to have a fun night out or to host a private party. Community visibility helps drive business. Plus, networking is important for promoting corporate team building events and holiday parties. For many franchise owners, being active in the local community is one of the joys of the job. It builds personal relationships and brings in sales. It also opens up a lot of opportunity for giving back. 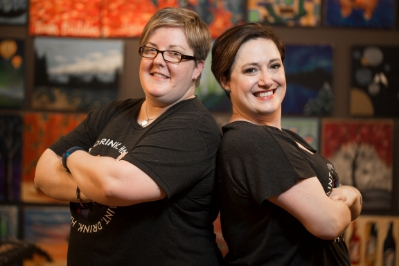 Most studios hold Painting It Forward events to raise money for local non-profits. They may also give back in other ways, like donating gift certificates for fundraising raffles. Naturally friendly and social, Diana Chams took a great approach to networking before she opened her studio in Brick, New Jersey. As soon as she selected a location for buildout, she got to work networking. She spent the months leading up to her grand opening getting to know neighboring businesses and getting involved in local chambers. By the time her studio opened its doors, she had built rapport with local organizations and consumers. A flexible schedule and work/life balance bring a lot of entrepreneurs to franchising. Pinot’s Palette offers independence and personal management, along with an established business model and plenty of support. The combination is great for people seeking freedom from more traditional jobs. Pinot’s Palette prides itself on operating with integrity, which includes giving back and respecting and supporting artists. As a company, one of the core values is “have fun.” Pinot’s Palette is a fun business to own! 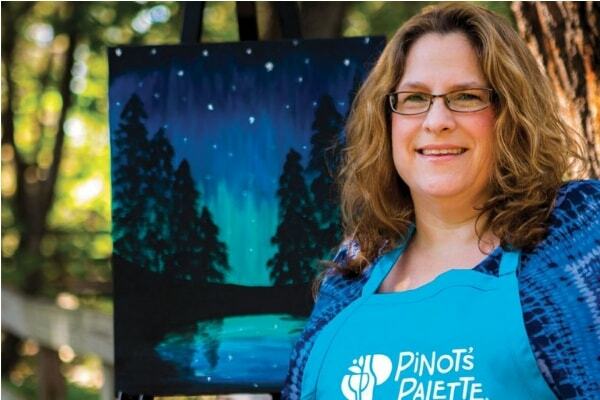 If you’re a social entrepreneur who enjoys wine, art and entertaining, Pinot’s Palette paint and sip franchise is the perfect concept for you. To find out if we’re the right fit for you, contact us for more information. We can’t wait to talk to you!